Ask the Visa & Passports Experts- Why Do Visa Applications Cost What They Do? I’m happy to present a new TPG series “Ask the Visa & Passport Experts” to demystify the visa and passport application process. 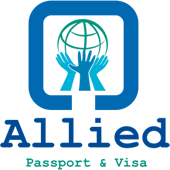 Meet Peter Gulas and Steve Gempeler, owners of Allied Passport & Visa. Today, they’ll explore why applying for a visa to various countries costs what it does. 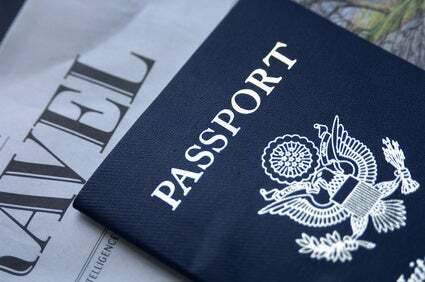 Most seasoned travelers have applied for a travel visa to a foreign country at least once. Few contemplate the rationale for shelling out, often times, hundreds of dollars for a visa to visit an international destination you’re already going to spend top dollar at once there. The United States charges $160 for all nationals requiring a visa to enter the U.S. Many countries, in return, charge US citizens reciprocal prices for their visas. Most foreign embassies in the United States that adhere to this reciprocal fee structure charge $160 for all passport holders, even if they are not U.S. citizens. Some embassies, however, take their fee structures to the extreme. The Indian, Nigerian and Bangladeshi embassies in the U.S. all have visa fees with segregated prices for every nationality and often wildly fluctuate depending on who is charging who what and when. 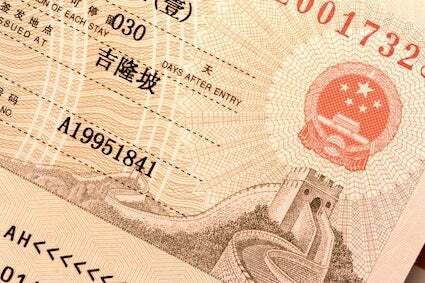 If you’ve ever obtained a visa to Russia, China, or Brazil you’ll notice a high level of security features on the visa label itself. Expensive holograms, watermarks, sometimes your photo on the visa, and barcodes all prevent counterfeit, decreasing illegal immigration and keeping better track of travelers’ movements. Embassy staffing also plays a vital role in determining your visa cost. As you’d expect, wealthier countries have more stringent entry criteria. Therefore, embassy staffers (often times in the dozens per embassy) examine each application with a higher degree of scrutiny. Background checks, phone interviews, or personal appearances to validate identities are occasionally required, creating additional costs for the embassy, all of which are passed onto the applicant. In contrast, many embassies only employ one or two visa officers that simply stamp your passport, pen in your personal details, cash your money order and you’re in. Some embassies have hired private companies to assist in visa document preparation. This eliminates the embassy from any direct contact with applicants. Instead of applicants presenting their documents directly to the embassy, the outsourcer acts as a middleman, reviewing, correcting and requesting additional information/documents from the applicant, if needed–essentially, perfecting the applicant’s application before it gets through embassy doors. Russia, India, Nigeria, Algeria, Azerbaijan, and Zambia are currently the only countries that use outsourcing. Russia’s outsourcer charges a $33 outsourcing fee, plus a $35 “mail in” fee, on top of the $140 embassy fee. India’s new outsourcer currently charges a $17 outsourcing fee per application. Nigeria’s outsourcer bills $20 to complete the required online application and payment. Having a private American company and a foreign government both taking a cut makes these countries some of the most expensive visas to obtain. Allied Passport’s services is happy to extend a $5 TPG discount on your orders. What are your visa and passport questions? Ask the experts in the comments below.